Aquatic Ecology is an experienced environmental consultancy with significant resources for undertaking field work anywhere in New Zealand. We can assist you with all matters pertaining to the aquatic environment and its ecology. 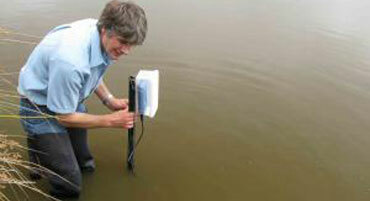 Environmental monitoring can involve assessing water and habitat quality as well as aquatic ecology (e.g. invertebrates and fish). Currently Aquatic Ecology are undertaking exploratory inanga (whitebait) spawning surveys in the Greater Wellington Region, working on fish transfer and habitat remediation for the SH73 upgrade near Arthurs Pass, providing advice on the environmental impact of power schemes on the West Coast and monitoring instream works as part of the Christchurch earthquake rebuild. 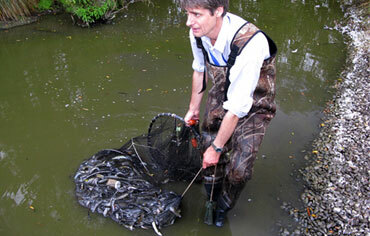 Aquatic Ecology has also recently undertaken work outside of New Zealand. Short-term and long-term environmental monitoring is a cornerstone of Aquatic Ecology's work. This is normally associated with resource consent requirements. Clients for this type of work have included District Councils, The Department of Conservation, Landcare Research, NIWA, and Vineyards.The work has included monitoring of water quality, invertebrate populations, freshwater fish stocks, fish habitats, and fish spawning surveys. Aquatic Ecology has a wide variety of field equipment, including water quality meters, boats, a large variety of fishing and invertebrate sampling equipment, and flow gauging gear. We have an MPI permit to undertake surveys of aquatic biota using scientific and unconventional methods. 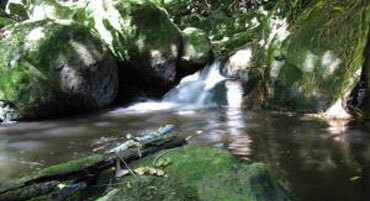 Trout redd surveys are a prominent feature of Aquatic Ecology's environmental monitoring and research work. They have been undertaken for District councils, Regional Councils and for Fish and Game Councils. Pictured (above) is an excavated trout redd. Inanga (whitebait) spawning surveys are also an important part of our work and Mark Taylor is recognised nationally as an expert in this field, having been involved in mapping and restoring spawning habitat throughout the country. 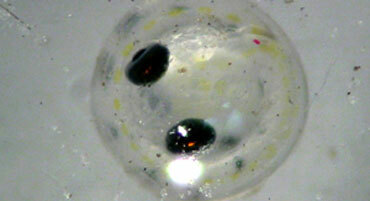 An Inanga egg (above) is photographed through a microscope. Aquatic Ecology can also produce predictive habitat models, relating to the abstraction and augmentation of water. This is achieved using SEFA (System for Environmental Flow Analysis) software. Using this technology, Aquatic Ecology can model the potential impacts of proposed projects, relating to flow alteration and species habitat availability. The photo above is an example of one such model, with the availability of fish habitat changing with flow, dependent on the species. 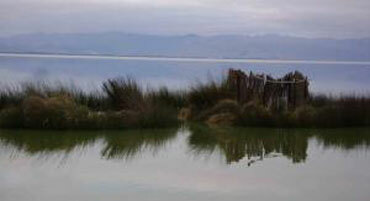 Aquatic Ecology is now able to offer clients the option of a water bird survey, specialising in the Canterbury Region. 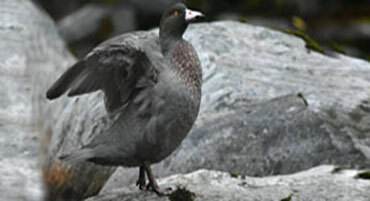 Pictured (left) is a blue duck (whio) observed during a recent expedition. Aquatic Ecology has considerable experience assisting with consent applications for stormwater discharge from new subdivisions. Aquatic Ecology staff contributed to the Christchurch City Council's Waterways, Wetlands and Drainage Guide 2003 (Parts A & B). These documents, Part B in particular, provide guidelines for the design of stormwater treatment systems that minimise the impacts on the downstream environment. The effects of other discharges on Water Quality and aquatic life can also be assessed by Aquatic Ecology. For example, we recently assessed the impacts of the sewage discharges at Hanmer Springs and Cheviot on their respective receiving waterbodies. 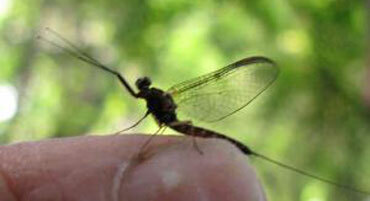 Above is an adult mayfly. Its aquatic larvae can be sensitive to low dissolved oxygen (DO), an indicator of poor water quality. For applications to take water, Aquatic Ecology can assess the hydrology and ecology of the source waterway, and its sensitivity to flow depletion (see Case Studies: Water Takes). Depending on the results of that assessment, we can then make a recommendation for appropriate minimum flow specific to the Ecology. Aquatic Ecology has experience working in this area for small-scale farmers, large-scale corporate farmers, district councils, Transit NZ, and skifields. 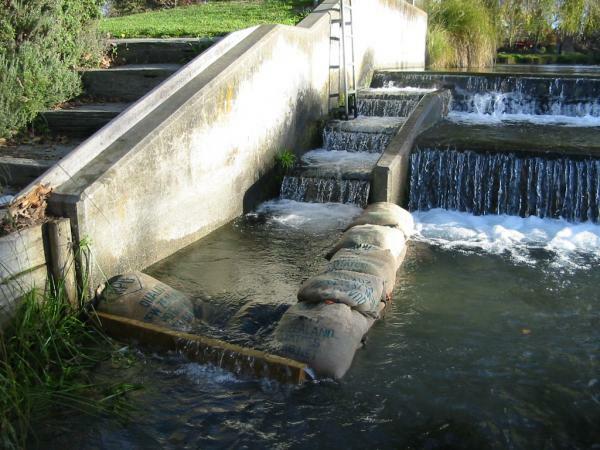 Other resource consent applications that Aquatic Ecology has been involved with include waterway diversions, bridge works and base flows of urban waterways. 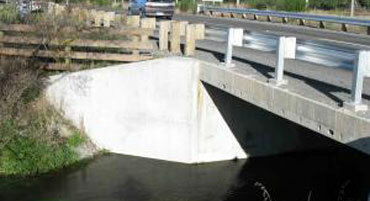 Aquatic Ecology was involved in the upgrading of Tram Road Bridge over the Kaiapoi River. As well as resource consent applications, Aquatic Ecology staff have assisted applicants and submitters in plan change hearings where effects of plans have impacted upon water quality and/or aquatic ecology. Aquatic Ecology has been involved with a number of catchment plans and redevelopment surveys, which involved identifying ecologically-important habitats before the onset of land development. Areas concerned include the upper Halswell and Heathcote systems, Marshlands/Mairehau area, and Horseshoe Lake catchment. Aquatic Ecology staff have extensive experience in undertaking aquatic resource surveys on waterbodies throughout the South Island, both in streams and small lakes. This work is facilitated by the use of small boats. Fyke nets (right) are an important part of our work, particularly where electric fishing machines are relatively ineffective. 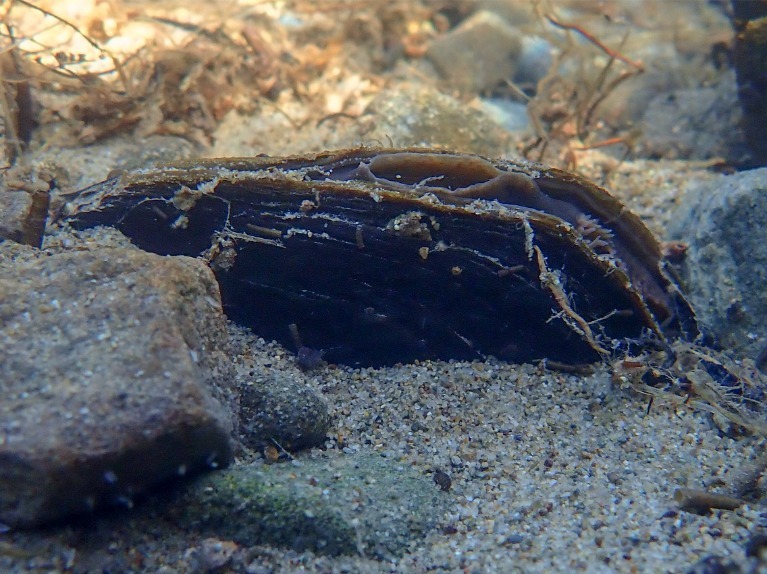 A recent Christchurch study surveyed the algal, aquatic invertebrate, and fish communities, in conjunction with water quality in Travis Wetland. 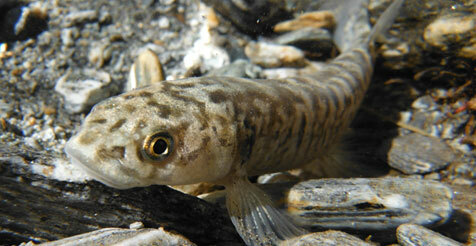 It found that the Wetland is an important local rearing habitat for the shortfin eel. 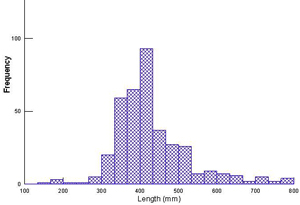 The graph (left) shows the length frequency histogram of the sampled population. Aquatic Ecology has also undertaken research into factors which affect the success of trout spawning (see Trout Spawning Case Study ) for Fish and Game Council (NZ). Aquatic Ecology assisted with the re-development of a lower Avon River tributary (above), which incorporated a specific habitat for inanga (whitebait) spawning (see Whitebait Spawning Case Study ). Aquatic habitat restoration and development involves designing habitats which not only look good, but also provide ecological benefit. This requires knowledge cross-over between landscape architecture and local ecological requirements. 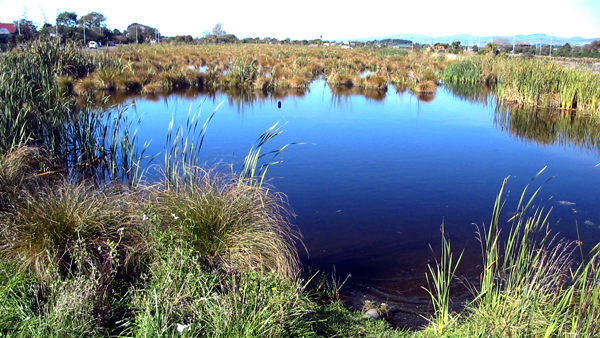 Aquatic Ecology is working with a leading firm of landscape architects, Rough and Milne Landscape Architects (http://roughandmilne.co.nz/), to ensure that restored or developed habitats not only look great, but provide a suitable environment for the invertebrates and fish which dwell there. A recent study required expert knowledge of the restoration of brown trout spawning habitat in North Canterbury. Trout spawn in stream gravels, and important ecological design elements included stream slope, the size of the stream gravels, and the depth and velocity of the water flowing over them. Other sections of the channel provided habitat for native fish and invertebrates with a range of habitat requirements. The reach had a high public profile, and it was also important that public accessibility to the waterway, and aesthetics be balanced against maintaining the integrity and function of the riparian zone (see landscape elevation figure above). Aquatic Ecology was involved in a proposed major realignment of a state highway and provided expert advice in remediating the impacts of waterway diversions for native fish and brown trout. The quality of the open water is also important, but the water quality has to be put in context with the requirements of the aquatic life that inhabits, or could potentially inhabit, the environment. 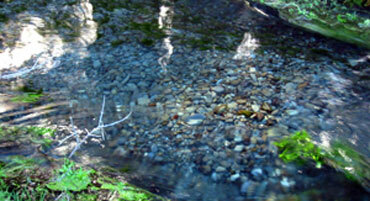 Aquatic Ecology routinely assesses water quality (above) to establish if this issue compromises the aquatic environment. Aquatic Ecology staff have qualifications and extensive experience in measuring, assessing, and reporting on water quality, and sediment chemistry and contamination. This is both in the context of state of the environment monitoring, and discharge consent applications. 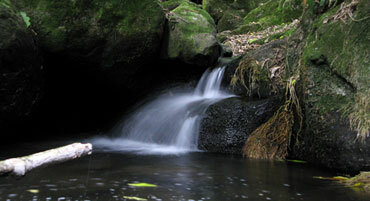 Pictured above is Grehan Stream, a local water supply for Akaroa. Some contaminants, particularly heavy metals, bind to fine sediment, and this contaminated sediment can settle on the bottom of waterways, ponds, and lakes. The environmental risk of contaminated sediment is particularly important in respect to stormwater discharges into waterbodies from urban catchments. These contaminants may still pose a threat to aquatic life, as they may be still biologically available to plants and animals. Aquatic Ecology has experience and expertise in analysing sediment chemistry from urban catchments.